If you follow me on Instagram (@fionnac), then you'd have seen that I've been changing my hair color around ever since I went back to being a blonde. I'm in a phase right now where I want to get all the colors I want to go out of my system before I return back to my roots of natural dark brown hair. 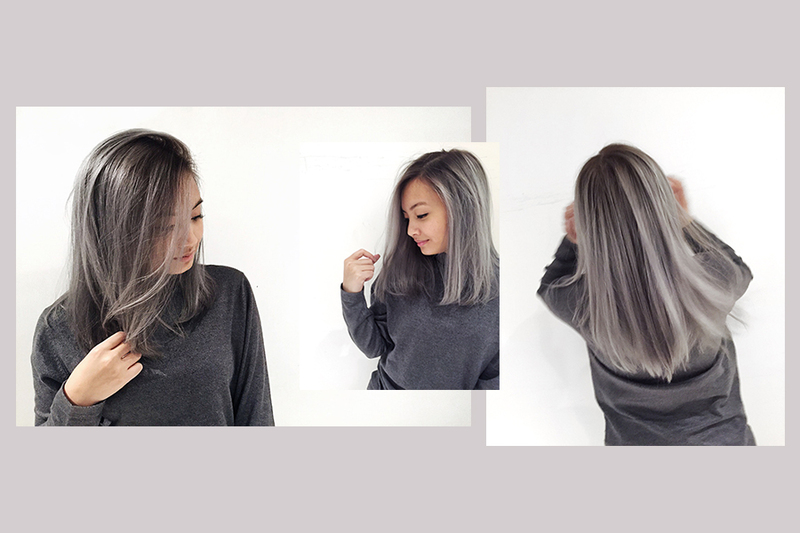 For a while, I've wanted to make my hair silver grey, but was never able to achieve that because I either didn't have the funds, or my hair wasn't light enough to go that color. Luckily, those two points are no longer an issue for me and I am able to finally achieve this pretty shade. I really like how this color really suits the fall and winter season. I'm seriously so in love with it and how it blends really well from my roots. My hair stylist, Jonathan, did a great job. If you're in the NYC area and want to go to him, you can check out his Instagram here, or call New Square Salon in Flushing, NY to ask him about his pricing.